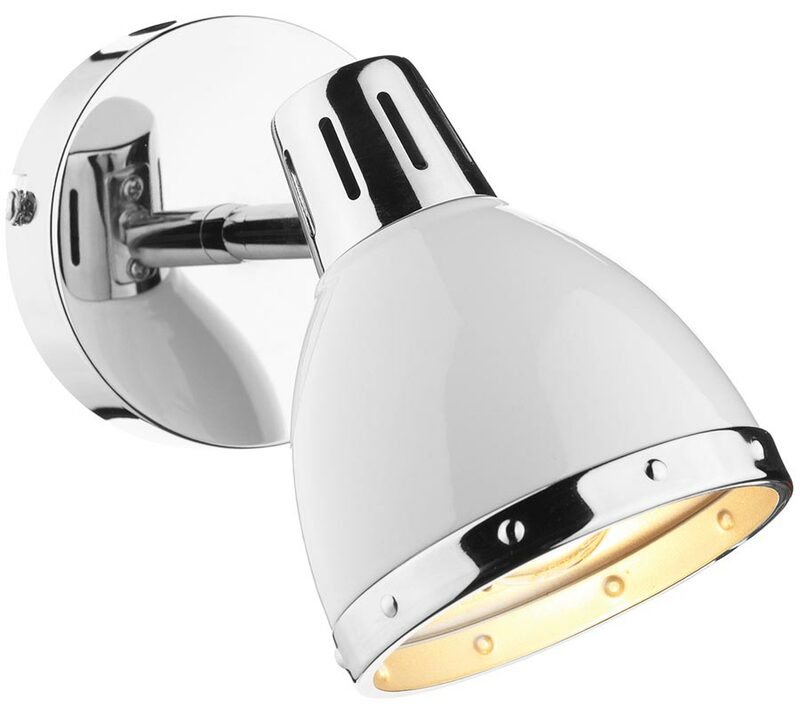 This Dar Osaka gloss white switched wall spot light with chrome trim features retro style and an adjustable head to shine the light where you need it. Featuring circular wall mount in polished chrome and a retro style fully adjustable gloss white lamp head, with ventilated domed body and riveted chrome trim. A fantastic stylish choice for anywhere directional light is needed and fitted with a handy rocker switch on the wall mount. Great for the home office, a kitchen, bedroom or living room. The gloss white and bright chrome combine to give this retro spotlight up to the minute style, which makes it suitable for more modern settings. The white and chrome will complement most colour schemes, so there’s no need to worry about matching finishes or a colour clash. The Osaka lighting range includes coordinating gloss white fittings that can be viewed below. Dar lighting is widely recognised as one of the leading suppliers of a full range of innovative, quality lighting products such as the Osaka gloss white switched wall spot light you see here. The diameter of the spotlight “head” is 100mm (4 inches).